Discussion in 'The Lounge' started by Mel O'Drama, Mar 21, 2019. Jumped up over Juicy Fruit? Do you have a "trademark" breath freshener? Or a current favourite? Maybe you associate certain mints or gum with someone who's never without them. Perhaps there's one no longer made that you miss. Or one that you've tried once but never again. I'm curious to know what's rattling round in your pockets. Any kind of gum terrifies me, owing to my recurring nightmare where it gets stuck in my teeth and pulls them all out when I try to remove it. It actually freaks the bejesus out of me. As long as I have a Trebor for freshness I'm cool. It's been years since I've had one of these. Do they still make steam come out of your ears? I do like a Polo now and then. They remind me of my Grandad who always had a supply of them when he was a smoker. They're not the same without the hint of tobacco. 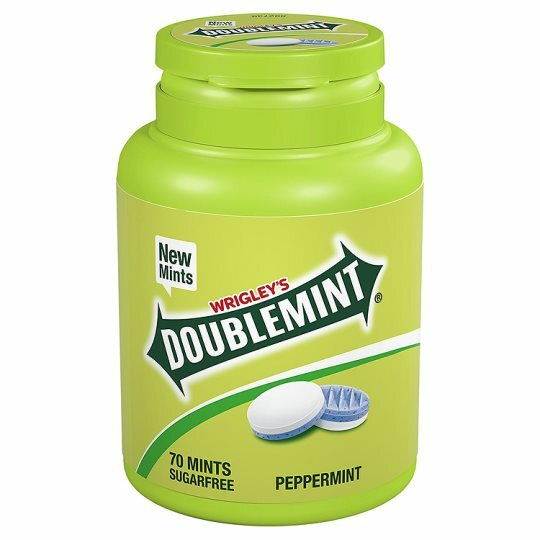 Doublemint gum reminds me of my Grandma, who liked them. But I can no longer find them anywhere. I've even written to Wrigley's who (eventually) replied claiming they're still available in certain places, but nope. I had just enough to get me addicted and then my supply was cut short. I'm not a big gum fan either. I do chew it occasionally but always out of earshot of other people because it has to be one of the most irritating sounds in the world to be subjected to. When I was a child there was a gum I loved that had liquid in the middle and if I remember was cinnamon flavoured. Sugar-free cinnamon gum seems to be practically extinct in the UK, more's the pity. I'm popping several a day and start to get edgy when I run low. Some of the sugar-free flavours can taste rather unpleasant, but the ones that work are very good. The OrangeMint is scrumptious. This week's goto flavour is the Bracing Glacier Peppermint which is minty enough to make one's mouth feel fresh, but not too minty if you know what I mean. alsways had swwet tooth but some how didnt have a filling til i was 21! made up for it now!! Oh my. Fruit-tella is a blast from the past. I seem to remember they were like Chewits but much softer so they didn't pull your fillings out. And sweeter. And with better flavours. Blackcurrant was always my favourite. Do you remember Pacers, which were also like Chewits but minty. And with... stripes?! That advert is everything. A roller disco affair and that hair! These are all things I mainly try and stay away from now that I'm diabetic. I save my sweet intake more of chocolate now. Sometimes though a few boiled sweets can keep my blood sugar regulated if I'm busy or cant have my next meal as quick as I would like. I used to love Chewits and Mentos as a kid. 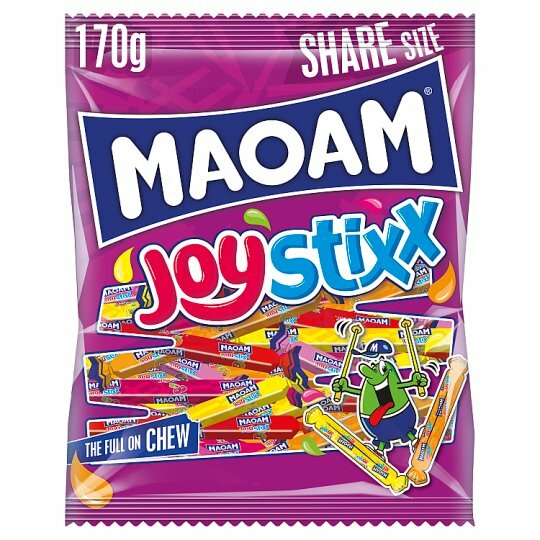 Now I really like those Maoam Stripes or Joystixx but again they can quickly make my blood sugar rise to around 9 million if I am not careful. They are a rare treat but just so moreish and fruitily delicious. 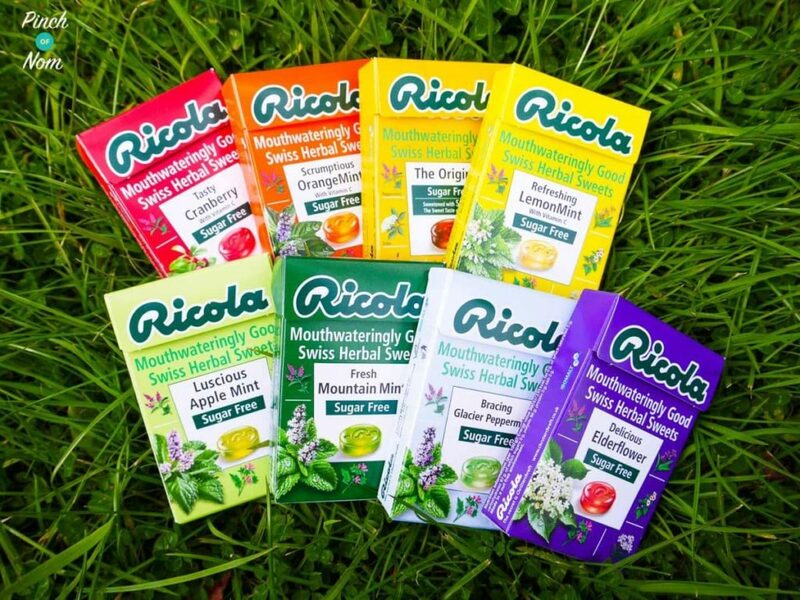 I'm going to have to look into those Ricola in sugar free versions they seem like they may be great for me. Wine gums are hard to beat. It's so very 1981 isn't it? What's not to love. Holland & Barrett sometimes have them in their Penny Sale (which is essentially BOGOF), and if not they frequently have a "Buy One Get One Half Price" on everything in store. And a fairly good range. I hope you find a flavour or two that you enjoy (and I hope I haven't oversold them). I really do like them, and my tolerance for artificial sweeteners is very low indeed.